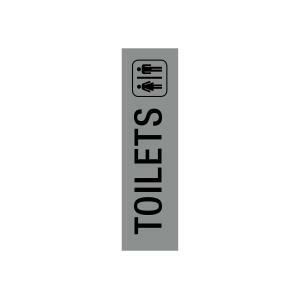 The Apli 'TOILETS' sign is ideal for labelling toilets at offices, hotels and other public places. This self-adhesive sign ensures an easy and a mess-free application. It has bold text to make it clearly visible from a distance.